Helamiyo :: Poses Dystopian is my 1L$ gift for MEGAstuff 2 hunt starting today at 4pm SLT. 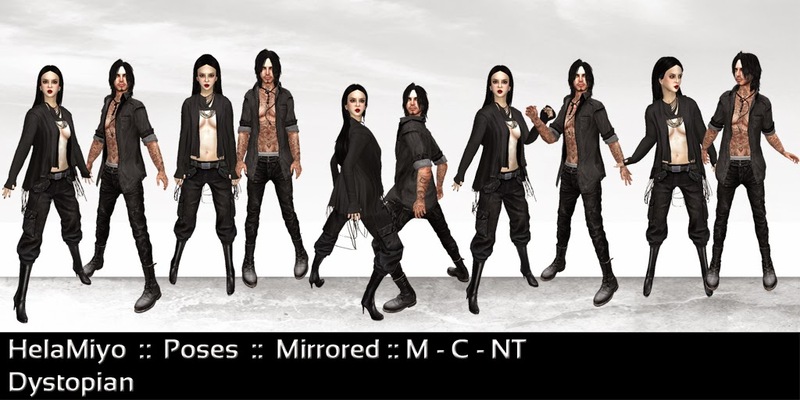 It's a pack of 5 unisex mirrored poses and the theme is dystopian. The idea of this pack came when I was stuck in my work box, trying to find a genius idea of gift for this hunt. And the talented photographer Rwah told me: come to this post apocalypse party at Elysion. So instead of working I went there and the sim and avatars were so beautiful, that it inspired me to be the theme of my next poses pack.